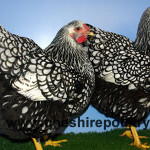 Cheshire Poultry and in particular Steve Dace are specialist breeders of show stock poultry breeds. 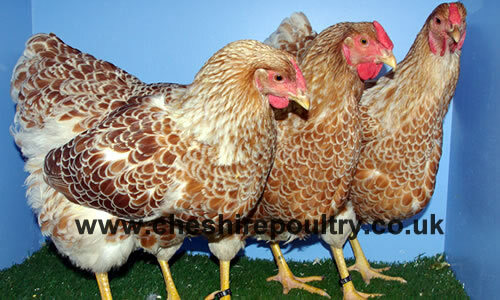 Steve Dace is an excellent provider of pure breed poultry for sale. 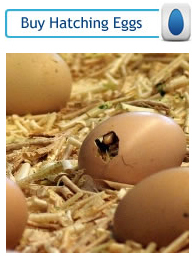 Whether it is hatching eggs, point of lay (also known as P.O.L. 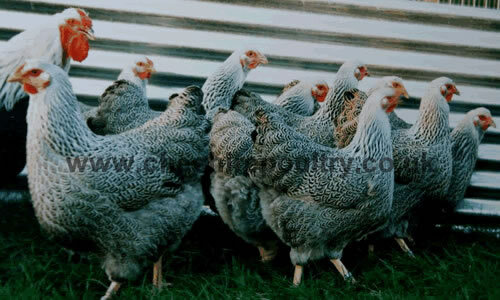 ), day olds, chicks, growers, pullets, bantam, hens or stock cockerels we can provide excellent show stock quality poultry, from the best lines and top poultry breeds. 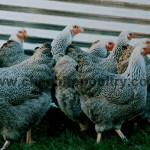 All our poultry breeds follow the correct breed standard in over 8 poultry breeds. 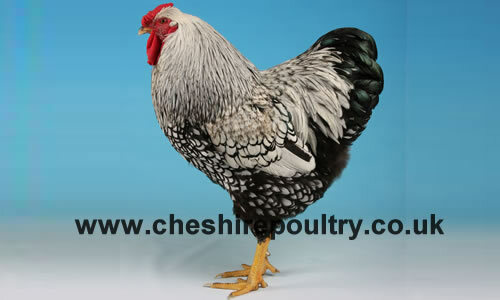 Cheshire Poultry understands what is needed to produce the highest quality show stock poultry to win the top awards at Poultry Shows. 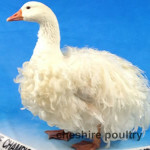 Always on the cutting edge of poultry breeding, we specialise in new and rare poultry breeds which are very hard to source, such as Curly Breasted & Smooth Breasted Exhibition Sebastopol Geese. 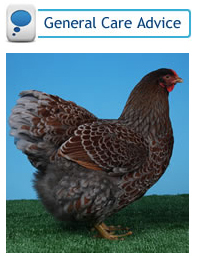 Get more info on our poultry breeds. 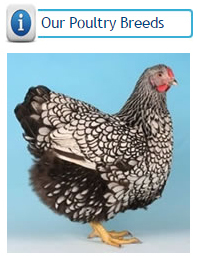 Our passion is Sebastopol Geese and the Wyandotte chicken and we have carefully selected all our Wyandotte chicken breeds from the top Wyandotte breeders in Europe and our lines are exceptional. 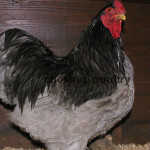 In 2009 and 2010 our Laced Wyandotte chickens won most of the top awards (cockerels and hens) in both the Federation Championship and the National Championship. A total of 26 first places, 24 second places, 11 third places and 8 forth places as well as best large trio and 5 on Champions Row. 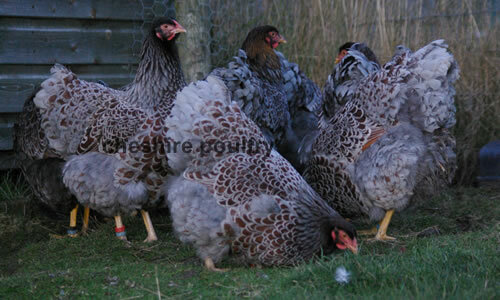 We show our birds and participate in all the major exhibitions and shows in the UK. 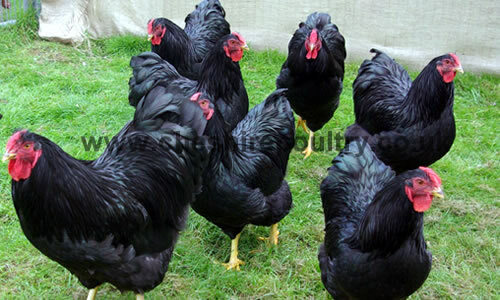 There are many breeders who advertise their birds as exhibition and show quality even though they have never been in a show. 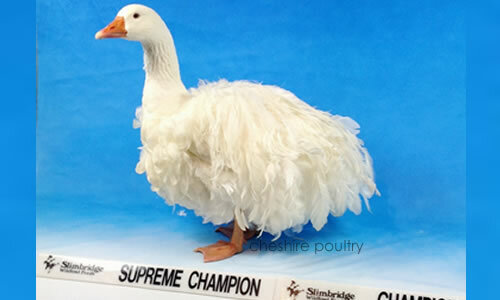 Please do not be fooled by people advertising exhibition and show quality birds as you may end up purchasing low standard birds. 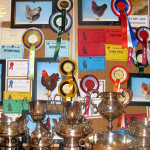 You can see all our show results for each breed. 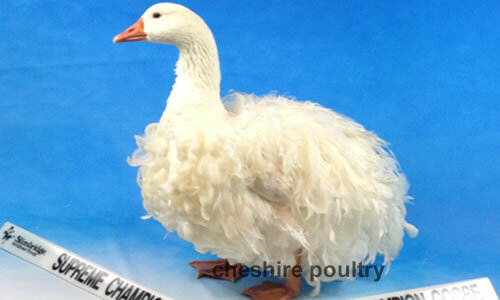 Cheshire Poultry now rear Sebastopol Geese from some top lines. 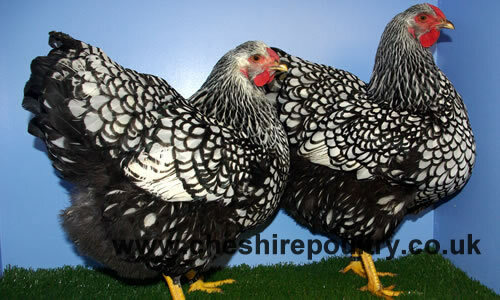 We keep white and coloured Sebastopols in grey and buff with curly and smooth breasted varieties. 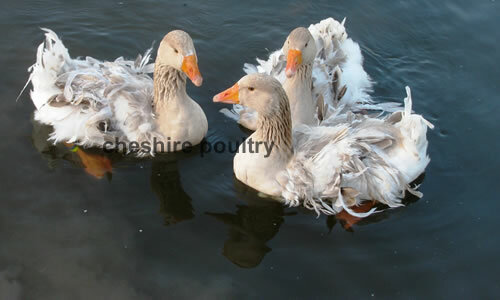 We have Sebastopol Goose Hatching Eggs, goslings, ganders and geese for sale. 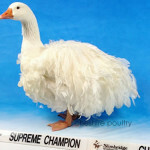 Please have a look at our Sebastopol Goose page for more information on our birds, the breed in general, tips of rearing and looking after water fowl and our great show results and how to make an order and purchase your very own Exhibition Sebastopol Geese. 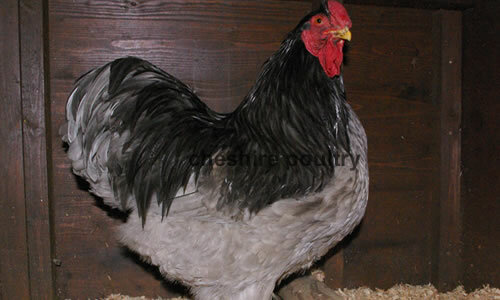 Whether you are interested in keeping poultry in the garden to give a regular supply of fresh eggs or want to breed your own exhibition Wyandotte show stock or if you want chickens to produce very dark egg laying strains, we have the chickens for sale to suit you. 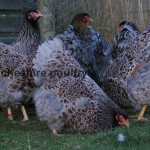 We do not just have quality rare poultry breeds in large fowl but also have very rare poultry breeds in bantam for sale. 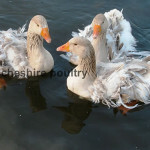 If you are interested in keeping chickens or keeping geese you can contact us with any questions you may have. 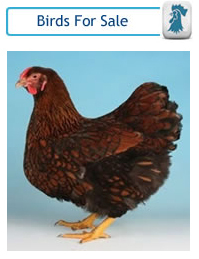 We also have great advice on how to keep poultry on this website and with decades of experience we can help you decide on the correct poultry housing, chicken food, chicken feeders, egg incubators and brooders. 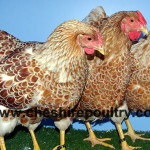 In addition to this we also want to help you make sure your poultry stays free of poultry diseases as chicken care and chicken health is of the highest priority to Cheshire Poultry. 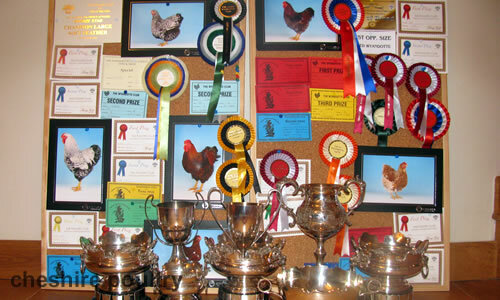 With all this information and a great range of show stock poultry breeds available to buy at all ages, we hope you have as much pleasure in our poultry as we do! 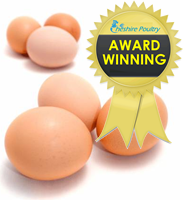 In addition to our chickens and hatching eggs for sale (all of which are bred from some of the biggest award winning poultry breeders in the UK and Europe), you can be assured that our hatching eggs delivery methods and egg fertility record with our chicken eggs is second to none. 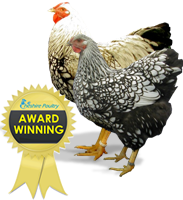 We recommend a few great poultry delivery companies who are expert poultry couriers please refer to our links page for their contact information. 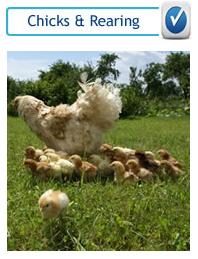 Visit our links page for a wealth of information on keeping chickens including what hen houses and chicken coops to use, details on hatchery and egg incubators, where to find chicken feed, poultry housing, books on keeping chickens and many other useful related websites. 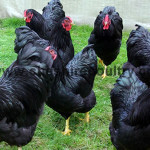 If you are happy with our service and the information on our website then please let us know. 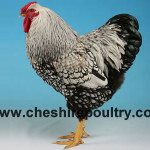 You can leave a testimonial about your experience with Cheshire Poultry or if you have any general comments regarding the website. 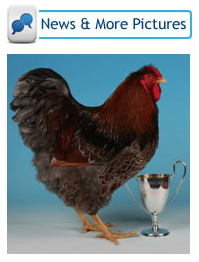 Your testimonial will help us improve our services and continue to reach our high standards.